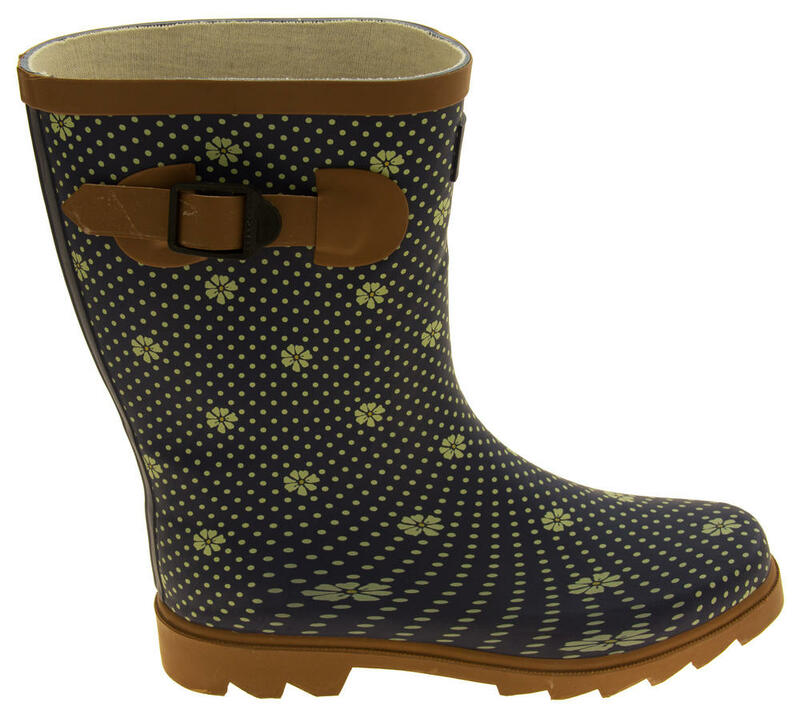 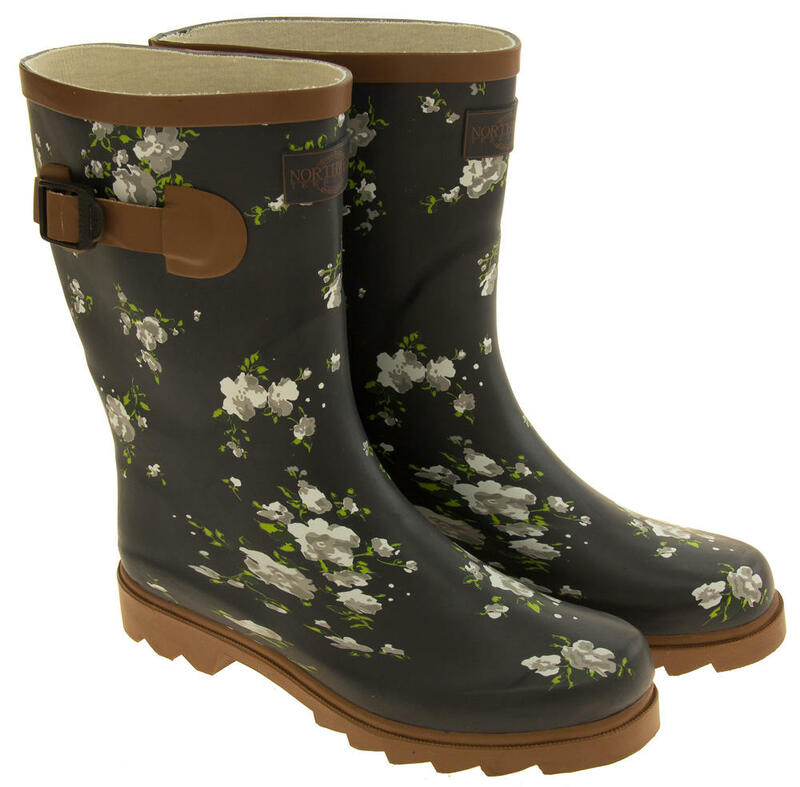 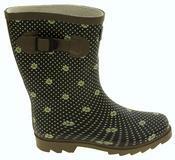 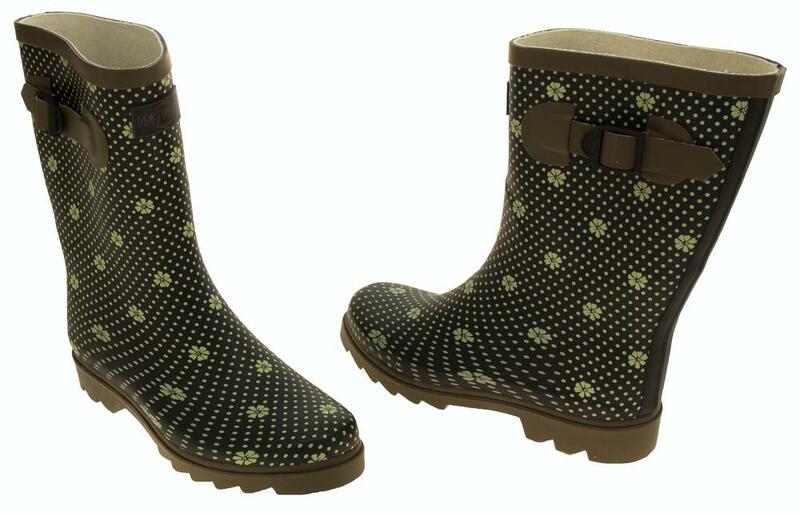 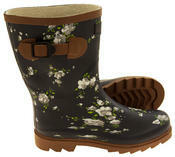 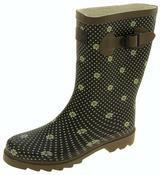 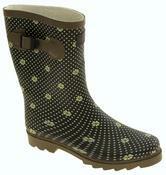 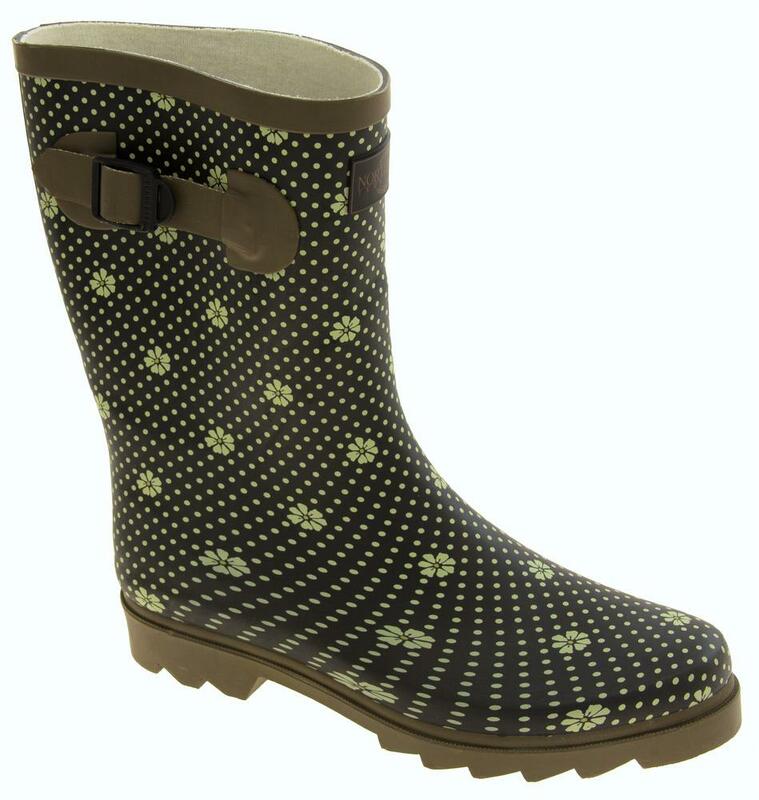 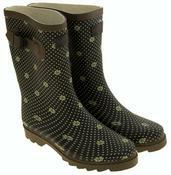 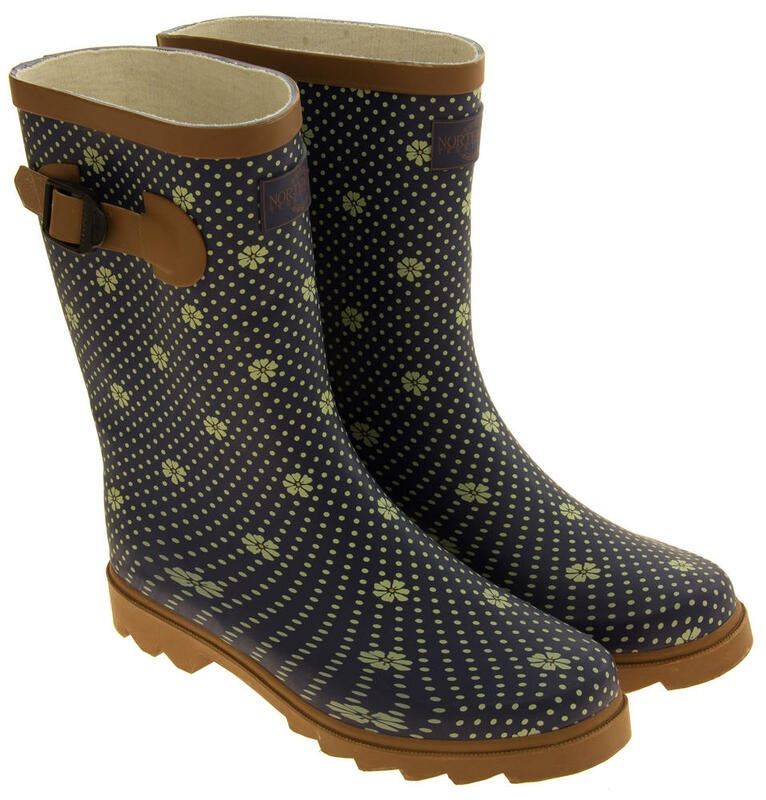 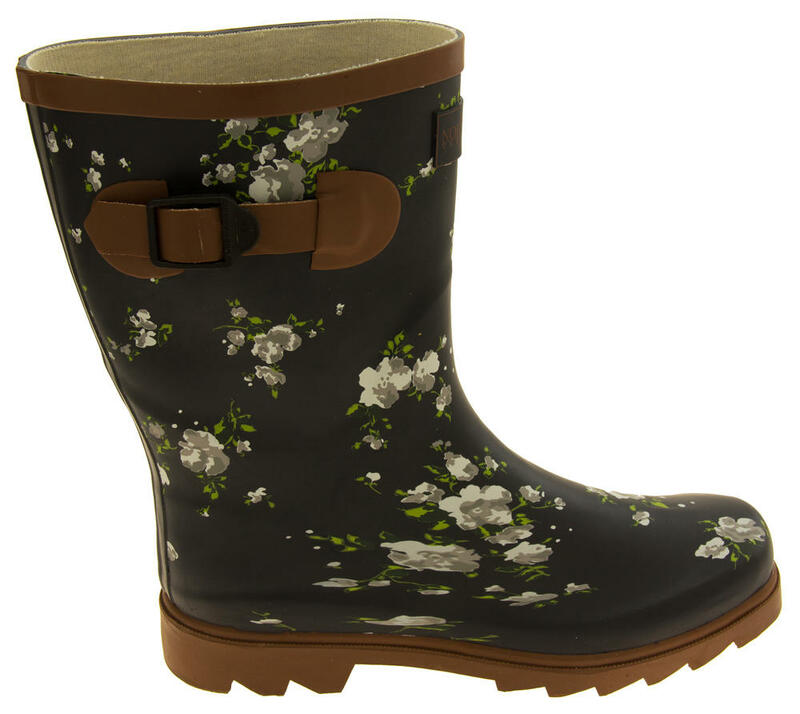 These floral calf high wellington boots are stunning. 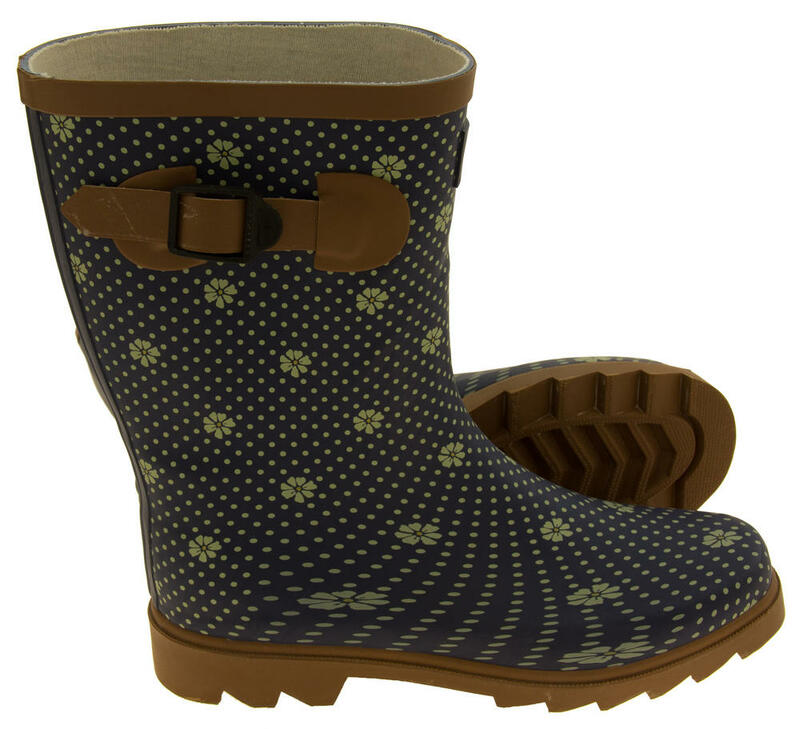 Adjustable strap to top. 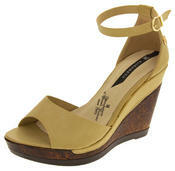 Low heel with good grips to sole. Textile lined. 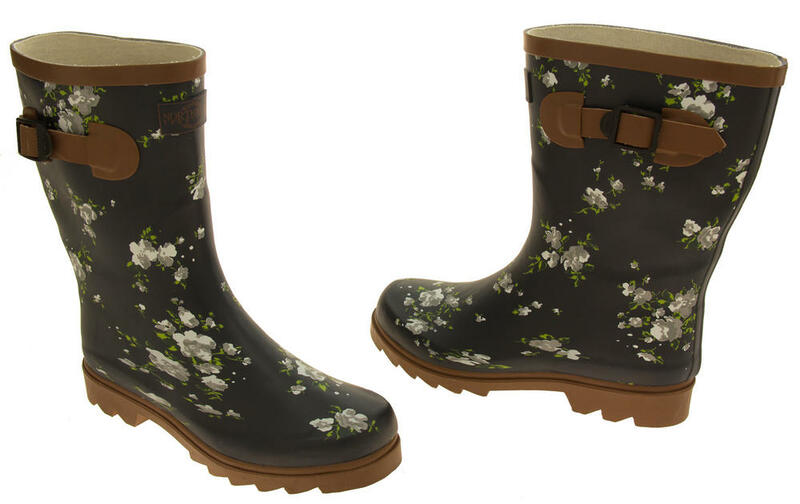 Who said you can't be fashionable in the rain.